New Life Ministries Newsletter March / April 2016 Edition. Do you feel abandoned by God when others around you conceive or each month when your menstrual cycle begins? Do you feel that God seems to bless everyone else but has forgotten you? In this insightful message you will discover the true nature of God and your New Covenant in Him and that He does not, will not and cannot forget you! I pray this message will be a blessing and encouragement and will help you to cross the line from barrenness into fruitfulness in every area of your life! Do you have trouble with Faith & Grace? Do you have trouble with Faith & Grace in regards to Fertility or Healing? Many are so afraid of getting caught up in the works of the flesh and self effort that they don’t apply the works of faith. Now note that what we do doesn’t earn from God, or move God BUT it moves us into what God has freely provided. FAQ – Why is God Allowing me to Suffer with Barrenness? Question: Why is God allowing me to suffer with Barrenness? Please read my previous blog post to answer this Question further: FAQ – If God is in control, why have I not conceived yet? The Good News is that God is not “allowing you to suffer”. He has already pre-responded to barrenness through Jesus finished work! Simply Accept the Blessing! | Hannah’s Victory. God CANNOT Withhold from You! Did you know that when it comes to healing and everything else that Jesus purchased on the Cross, God CANNOT withhold it from you? Psalm 84:11b says…No good thing will He withhold from those who walk uprightly. I have already posted a message on what it means to walk uprightly perviously here but the point I want to make today is that God cannot and will not withhold anything good from you, ever! Let this Truth MAKE you Free! I really want you to seek to understand the finished work of Jesus for yourself because then you will know how impossible it is for God to withhold what He has already freely given you! And what is it that has already been given? Everything that Jesus purchased on that cross! That’s right! What Jesus purchased ALREADY belongs to you! 2 Peter 1:3-4 says…His divine power has given us everything we need for life and godliness through our knowledge of him who called us by his own glory and goodness. Through these he has given us his very great and precious promises, so that through them you may participate in the divine nature and escape the corruption in the world caused by evil desires. But what about God’s will for our lives? If we don’t know what God’s will is for our lives, then we won’t know what is available. But praise God this is easily resolved because His will can easily be determined. God’s will for our life is not what our circumstances are, what our diagnosis is, or what our well-meaning friends say, it is what His Word says! His Word shows us His will and gives us the information we need! So it is important we discover what God’s Word says so that we can know His will in any given area of our life. And then we need to spend time meditating on that truth and on Jesus’ finished work, so that the information we gain can become revelation! Now this is when God’s truth comes to life and becomes real to you personally! And when you know what Jesus purchased on the Cross, you will then be able to see that what Jesus purchased is not a promise but rather a PROVISION! And because it is a PROVISION, God cannot take it back or withhold it from you! Romans 11:29 Amp says…For God’s gifts and His call are irrevocable. He never withdraws them when once they are given, and He does not change His mind about those to whom He gives His grace or to whom He sends His call. The Message version of this verse says…’God’s gifts and God’s call are under full warranty—never canceled, never rescinded’. God cannot take back or withhold what He has already freely provided for you! That is Good news! But there is more… God does NOT show Favouritism either! This means that what Jesus purchased on the Cross is freely available to ALL who come to Him! Romans 2:11 in the Amplified Bible says…For God shows no partiality, undue favor or unfairness; with Him one man is not different from another. Do you see how good God is?! God does NOT show partiality, which means favouritism (see also Acts 10:34)! This means that God does not choose whom He is going to bless or not bless. Or whom He is going to heal or not heal, or whom He will give a baby to! ALL of God’s gifts (including children) are freely available to ALL who believe in Jesus! In fact, the Bible tells us anyone who calls on the name of the Lord will be saved, and the word “saved” in Greek means: to be forgiven, healed, delivered, prospered, made FRUITFUL and whole (see Rom 10:11-13)! My dear friend, if you are waiting on God to do something for you, it can be fruitless because when it comes to the finished work of Jesus, God is waiting on you to take Him at His Word and freely enjoy what He has already given to you! The price has been paid and the victory already won for you! And FRUITFULNESS is ALREADY Yours! ALL because of Jesus Finished Work! So now that you know what you’ve been believing for is ALREADY your PROVISION and that God CANNOT withhold what He has already freely provided, it is time for you to lay hold of and ENJOY your inheritance NOW! You know what your Doctor and what the world says about Infertility. It’s now time to discover what God says! Exo 23:25-26 Worship the LORD your God, and His blessing will be on your food and water. I will take away sickness from among you, and none will miscarry or be barren in your land. I will give you a full life span. Gen 49:25 because of your father’s God, who helps you, because of the Almighty, who blesses you with blessings of the heavens above, blessings of the deep that lies below, blessings of the breast and womb. Gen 28:3 May God Almighty bless you and make you fruitful and increase your numbers until you become a community of peoples. Psa 113:9 He settles the barren woman in her home as a happy mother of children. Praise the LORD. Psa 128:2-3 You will eat the fruit of your labor; blessings and prosperity will be yours. Your wife will be like a fruitful vine within your house; your sons will be like olive shoots around your table. Isa 41:18 I will make rivers flow on barren heights, and springs within the valleys. I will turn the desert into pools of water, and the parched ground into springs. God created every single one of us with a perfect plan. We did not evolve! Every bone, muscle, tissue, and organ including those in our reproductive systems. God the creator, is also God the healer. If you have any problems in your reproductive system then God can heal you! It is God’s design for us to reproduce. He created us to have children. One of God’s first commands to man, was for us to reproduce by having children. It is His will and blessing for us and His word says He adds no trouble to His blessings. James 1:17 Every good and perfect gift (in this case children) is from above, coming down from the Father of the heavenly lights, who does not change like shifting shadows. Psa 127:3 Sons are a heritage from the LORD, children a reward from Him. (NAS) Behold, children are a gift of the Lord; The fruit of the womb is a reward. Psa 115:14 May the LORD make you increase, both you and your children. Jer 29:11 For I know the plans I have for you,” declares the LORD, “plans to prosper you and not to harm you, plans to give you hope and a future. There are several couples in the Bible who could not conceive. Every couple who cried out to God were heard and He answered by opening their wombs! Remember always that God does not show favoritism, which means that what He has done for the following couples, He can also do for you! Gen 25:21 Isaac prayed to the LORD on behalf of his wife, because she was barren. The LORD answered his prayer, and his wife Rebekah became pregnant. Luke 1:36,37 Even Elizabeth your relative is going to have a child in her old age, and she who was said to be barren is in her sixth month. For nothing is impossible with God. Heb 11:11 By faith Abraham, even though he was past age–and Sarah herself was barren–was enabled to become a father because He considered him faithful who had made the promise. If you have a sickness in your body preventing your children from being conceived or carried safely to the full term of the pregnancy know that Jesus has ALREADY won the battle! 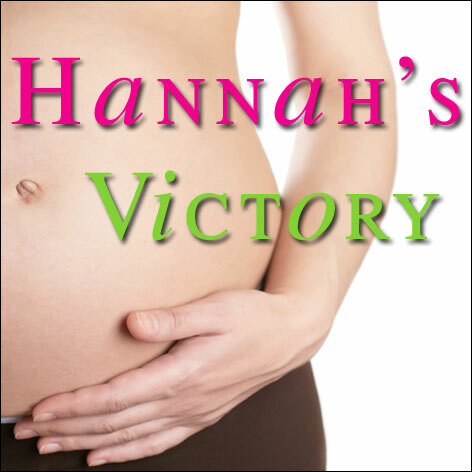 The price for infertility and miscarriage has already been paid and the victory already won for you! Isaiah 53:4-5 Surely He took up our infirmities and carried our sorrows, yet we considered Him stricken by God, smitten by Him, and afflicted. But He was pierced for our transgressions, He was crushed for our iniquities; the punishment that brought us peace was upon Him, and by His wounds we are healed. You are now free to go forth, be fruitful and multiply! Now that is Good News! © Copyright Nerida Walker 2013 – All rights Reserved. Have you heard of the saying “The light is always at the end of the tunnel”? Well that is rubbish in my eyes! Why look for the light at the end of the tunnel?! Jesus is LIGHT and LIFE and you can have that right NOW! Jesus is with you NOW! In fact, He is ALWAYS with you and He wants to walk WITH YOU every day and every step of the way! That ALONE always encourages me! This means that we don’t have to suffer or struggle on our own, Jesus is there as our helper, comforter, strengthener and standby! We have EVERYTHING we need in Jesus!